Thank you! With your generous help, we raised $11,692 on August 8-31, 2017 for the much needed repairs to the Craggy Gardens Trail. We were delighted to partner with the outstanding Blue Ridge Parkway Foundation, who is spearheading this project. 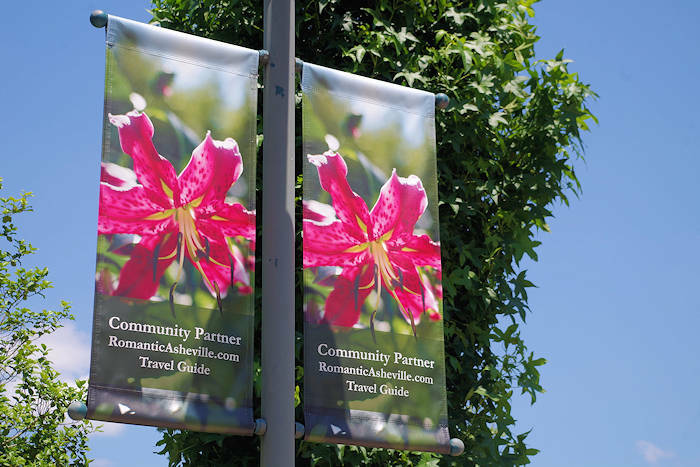 Since this is just one of many projects that the Foundation is trying to support along the Blue Ridge Parkway, we at RomanticAsheville.com "adopted" Craggy. Our matching challenging of $5,497 (elevation of the Craggy Visitor Center) was matched plus some! Even more good news... most trail work was completed on September 1st! "I love Craggy Gardens!" We have said that for many years, and we hear many of our readers say it too. While it's just 20 miles from downtown Asheville, you feel far away as you climb 3,000+ feet in elevation on the scenic Blue Ridge Parkway. Often, you walk on the clouds. On clear days, the panoramic views are unmatched in the North Carolina mountains. Trails take you across balds that are home to the famous purple-blooming rhododendron and many rare plants. Winter brings some of the harshest conditions on the east coast. 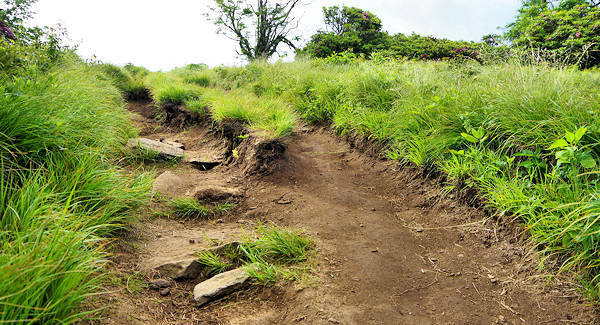 Read more about Craggy Gardens. Built in the 1970s, the trail became very rutted with multiple tracks. During the frequent rains, these ruts become eroding streams causing more damage. 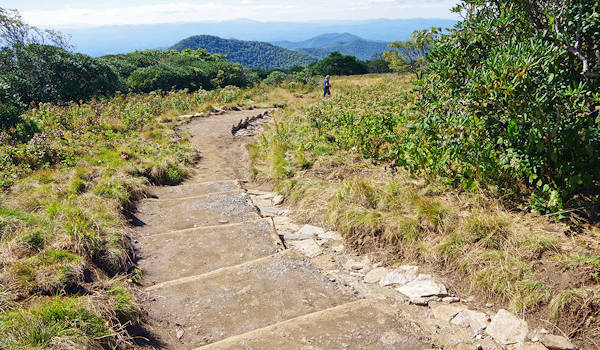 The Foundation is raising a total of $30,595 to rebuild the trail and create new exhibits for the Craggy Visitor Center. Thank you for helping us ensure that many future generations are able to explore these unique, magical bald summits that are home to many rare plants. The one-mile Craggy Gardens Trail takes you across the Craggy Flats Bald through the massive rhododendron gardens. It connects the picnic grounds to the Visitor Center. See our hike guide. 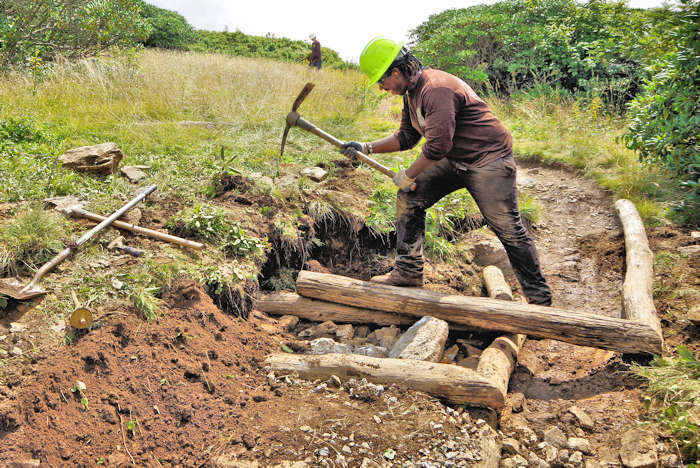 A volunteer crew of 10 from the American Conservation Experience rebuilt the trail from the Craggy Picnic Grounds to the summit. This was also a valuable learning experience for these young adults (ages 18-25) who are exploring outdoor careers! 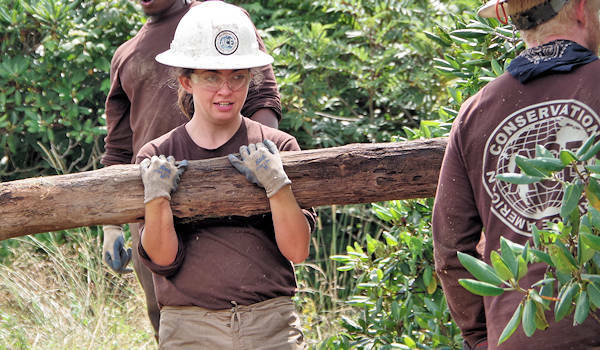 They learn from mentors and NPS staff as emerging leaders in conservation. So it's a win-win! The 65-year-old Visitor Center will also get some sprucing up. The existing faded exhibits inside will be replaced by professionally designed educational displays to tell the story of air quality, weather, climate and vegetation in this rare environment. 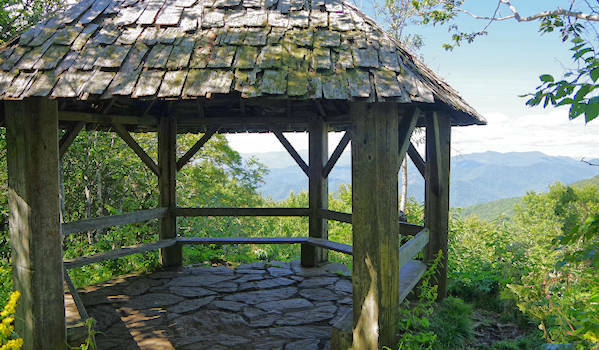 The historic gazebo located near the trail has a newly cleared view and will get a new roof. Unfortunately, the Blue Ridge Parkway (a unit of the National Park Service) has $517 million in deferred maintenance due to budget cuts. Meanwhile, the Parkway is the second most visited NPS site with 15.2 million visitors a year. It's free to visit 365 days a year. Many other national parks charge admission. The view from atop Craggy Pinnacle is one of our favorite vistas in the North Carolina mountains. 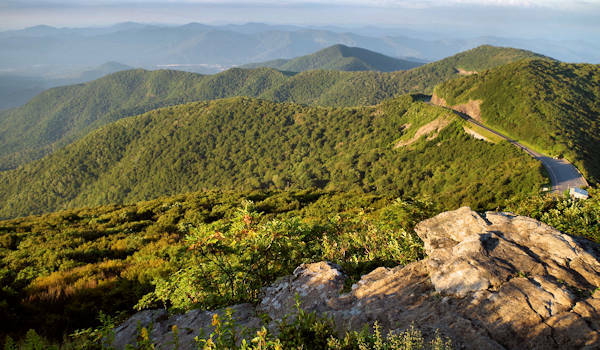 The Blue Ridge Parkway Foundation is the primary nonprofit fundraising partner, 501c3, of the Blue Ridge Parkway, helping ensure cultural and historical preservation, natural resource protection, educational outreach, and visitor enjoyment now and for future generations. The Foundation is celebrating its 20th anniversary this year. They have worked with donors to invest more than $12 million in critical projects along the scenic road. Read more about them. See other hard-working non-profits we support. They are making Western North Carolina a better place to visit and live. See our Giving Calendar Fundraiser for land conservancy. 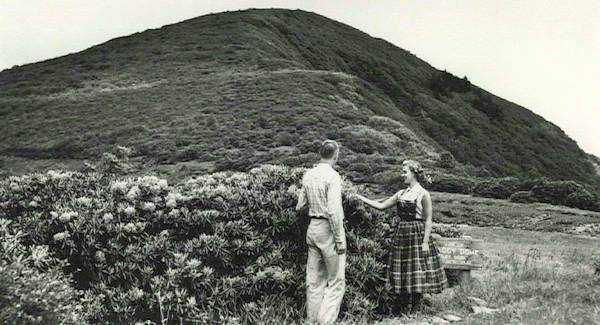 This 1946 postcard shows visitors admiring the rhododendron blooms at the parking area for Craggy Pinnacle (from the UNC Library / NPS).